I got so angry at myself. 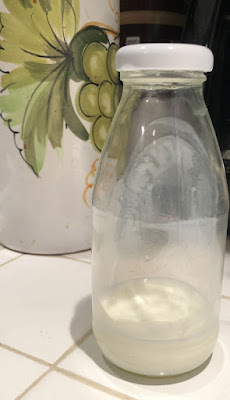 I had been faithfully recording all my plastic use in the first few days and all that time I’d been using tiny single-use plastic creamer cartons for milk in my hot beverages and not even noticing. Argh! I exclaimed on Facebook. GodDAMN! I wrote in my plastic log. I said far worse to myself. Success, winning, perfection are not what this, or any, Lenten discipline is about. Beating myself up is destructive, and God is a creative force, not destructive. I can hear my husband saying “Remember this!” as I can be harder on myself than anyone else. Doing that won’t help me succeed in my Lenten discipline, especially as it was one I had chosen knowing it wasn’t going to be something I could “win” at. Instead of tiny plastic creamers? Bring my own milk to work in a small bottle. Write to the manufacturers of plastic (insert just about every product in existence here) and ask them to change their product packaging from plastic. Did your Lenten discipline bring up feelings of anger? How are you handling it?